Effie Odelia (Nerlien) Krogwold, 96, passed away Saturday, January 13th at her daughter’s home in Spooner. A native of the Town of New Hope in Portage County, WI, she was the daughter of Ole and Emilie Ellandson Nerlien. In addition to her parents she was preceded in death by her sister, Belva (Nerlien) Walla, and a daughter Marilyn Gast. Effie attended the Peru one room school through 8th grade and car pooled to Rosholt for her High School years. She spent a year at St. Olaf College. Missing her family she transferred to Stevens Point Normal School where she completed her degree in Primary Education. She taught school in Williams Bay for two years and in 1966 returned to teaching first grade in Brodhead until retiring in 1983. Effie was a loving and devoted mother to her five children and a powerful influence in the lives of her grandchildren. As a young adult she memorized all the verses of over 100 hymns. She shared her love of God’s word helping her grandchildren memorize Bible verses and encouraging them in applying them to daily life. She was a member of Luther Valley Church near Orfordville before moving to her daughter’s home in Spooner in 2004 and joining Cornerstone Church. 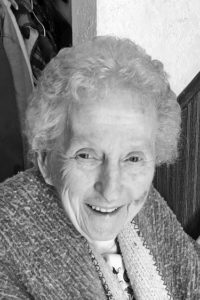 She was a loving involved grandma who adventured with her grandchildren back packing in the Porcupine Mountain Wilderness, taking the train out west and flying across America and overseas to visit her family. Her life of service extended well beyond her family. She regularly visited friends in nursing homes and in her 80s was still driving “old people” to their appointments. Together with other ladies in her church she made many quilts for missions. Effie had a strong pride in her Norwegian heritage and taught her children and grandchildren to make lefse, rommegrot, krumkake and other Norwegian delicacies that will continue to be passed down through the generations. She took several of her children to visit Norway and see the farms her family had emigrated from in 1879. She taught her children and grandchildren many Norwegian prayers and favorite lines which they enjoy repeating. She taught Norwegian classes through Sons of Norway giving others the confidence to take a trip to Norway themselves. She is survived by three daughters, Kathleen (Nicholas) George of Pisgah Forest, NC, Helen (Charles) Coomer of Pisgah Forest, NC, and Brenda (Fred) Simeth of Spooner, WI; a son Wayne (Debbie) Krogwold, Amherst Jct. WI, son-in-law Jeff Gast; grandchildren April Petrie, Inga Werginz, Erin Han, Sadie Simeth, Seth Coomer, Michael Gast, Nathaniel Simeth, Kevin Gast, Brock Coomer, Jared Simeth, Ryan Gast, Elijah Simeth, Mathias Simeth, Josiah Simeth, Sarahanne Schloneger, and Franz Simeth, and many great grand children. 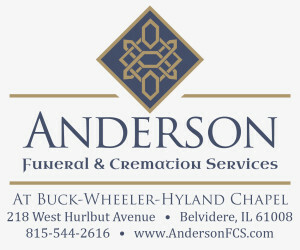 Arrangements are being handled by The Spooner Funeral Home. To leave condolences for the family visit http://www.bratley-nelsonchapels.com . A memorial service will be held at Cornerstone Church in Spooner at a later date, and at North New Hope Lutheran Church, with burial in North New Hope Lutheran Church Cemetery.